irma loves life: How I Pack my Starbucks City Mugs? An essential skill to learn when one enters the world of mug collection/trading is packing ceramic mugs. I definitely want my mugs to reach its new owners in one piece. And I would want to receive mugs in their perfect condition. No broken handles, nor broken in two. So far I have sent almost a hundred mugs out and not one was broken. Crossing my fingers, knocking on wood and whispering a prayer the good streak continues. My packing skills definitely improved over the past few months since my very first trade. Now, wrapping those mugs in bubble wrap can be therapeutic. I have established a system which was based on this web page, Tips for Packing Mugs. So how do I pack my mugs? Step 1 - Cut the bubble wrap (approximately 12in x 36 in) and craft board (approximately 6in x 24 in) enough to cover one mug . I use two pieces of bubble wrap and one craft board. 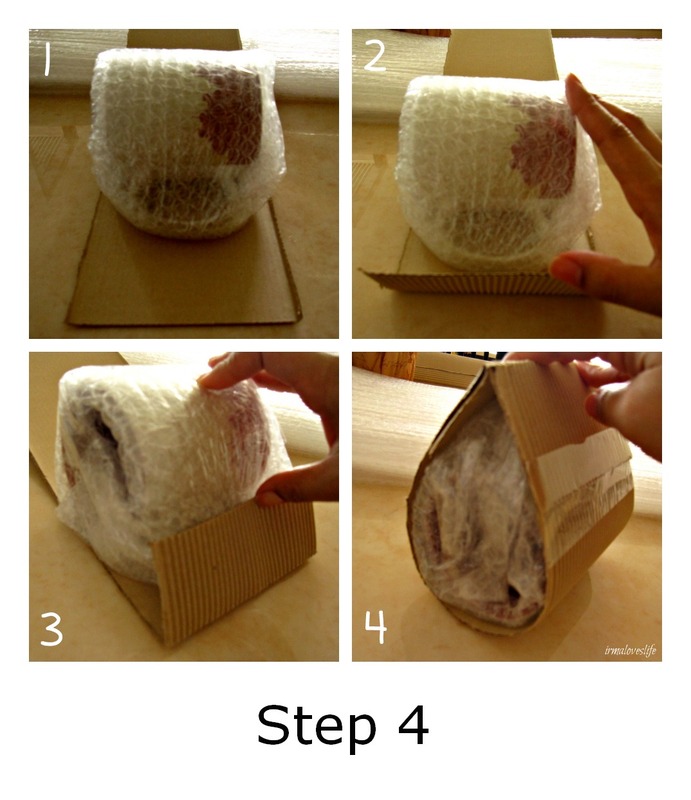 Steps 2 and 3 - Wrap one piece of bubble wrap around one mug (with or without the protective paper from Starbucks). 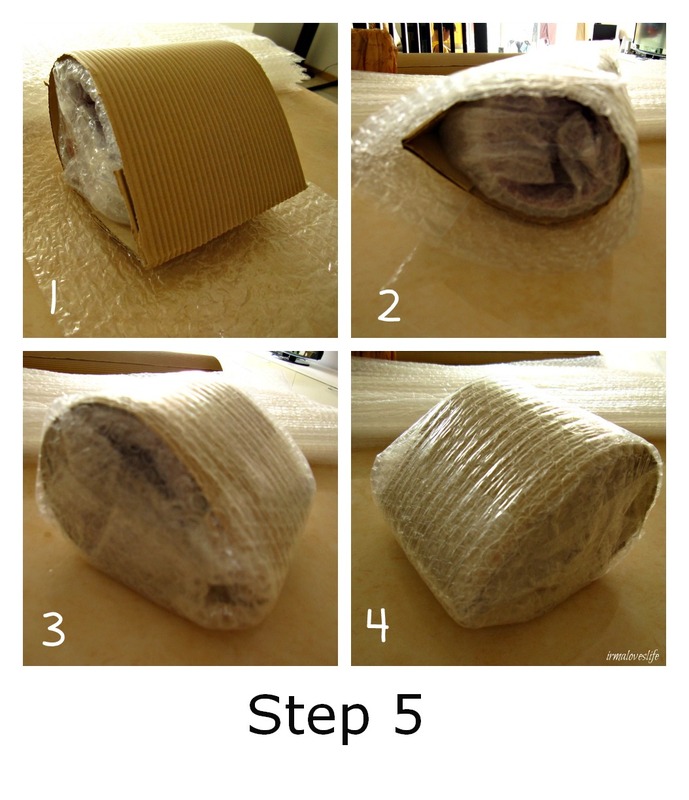 Place a piece of clear tape on the edges. Step 4 - Wrap one piece of craft paper around the mug with bubble wrap and seal it with a clear tape. Step 5 - Last step is to wrap the the mug in craft paper and bubble wrap around the second piece of bubble wrap. Secure the edges with clear tape. I absolutely love the boxes from Thailand Post. They are cheap and sturdy. How do I arrange the mugs inside the boxes? It is important that the mugs do not have space to move inside the box. Fill the spaces with more bubble wrap or any other filler you have to keep the mugs snuggled. I like adding post cards and some local treat together with the mugs. I hope to find more cute items that can easily be included in the package. If you have other packing tips, please share them with me. 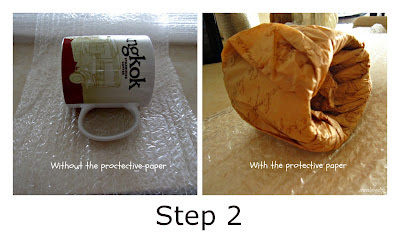 There are so many broken mugs in the collectors' world and I hope to avoid this by sharing the right way to pack them.